Replaces the pivot beam and isolators on a Reese 16 (R16) fifth-wheel trailer hitch (RP30866 and RP30869). Blue powder coat resists rust and corrosion. 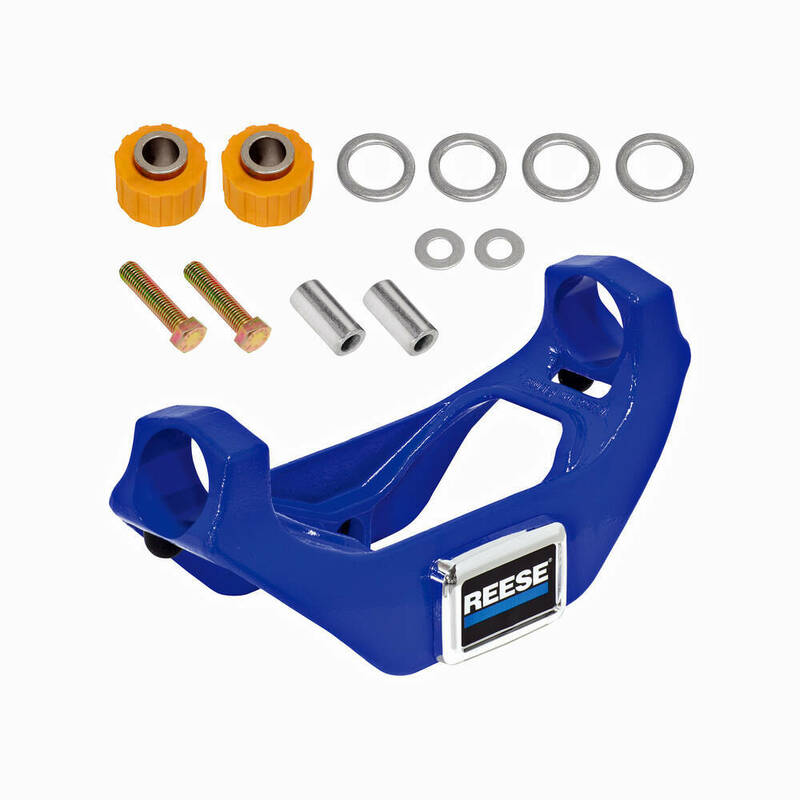 Call 800-298-8924 to order Reese accessories and parts part number RP58447 or order online at etrailer.com. Free expert support on all Reese products. Guaranteed Lowest Price and Fastest Shipping for Replacement Pivot Beam and Isolators for Reese Titan 16 5th Wheel Trailer Hitch - 16,000 lbs. Accessories and Parts reviews from real customers. Replaces the pivot beam and isolators on a Reese 16 (R16) fifth-wheel trailer hitch (RP30866 and RP30869). Blue powder coat resists rust and corrosion. Yes, for just the head assembly from the Reese Titan 16 5th Wheel Trailer Hitch, you will use part # RP58446. Then for the Pivot Beam, you will use # RP58447. If you are needing the fixed legs, you will use part # RP58449 and for the sliding base you will use # RP50024. You definitely do not need to order the Replacement Pivot Beam and Isolators for Reese Titan 16 5th Wheel Trailer Hitch - 16,000 lbs # RP58447 to get the isolators. You simply want the Replacement Pivot Beam Vibration Isolators w/ Mounting Hardware - Reese Titan 16 5th Wheel Hitch # RP58515. If you have the 20K Titan then you need # RP58516 instead.